Questions over Rio funding, but Chiller says forget the 'blame game'. CANBERRA -- As the Rio Games close, the Federal Treasurer Scott Morrison is leaving elite sports funding questions for now, saying he is "very proud" of Australia's athletes. Rio 2016 was the first test of the $254 million 'elite sport strategy' known as Australia's 'Winning Edge' -- a 10-year game plan to get Australia back in the top five on the Olympic medal count after slumping to eighth in London. 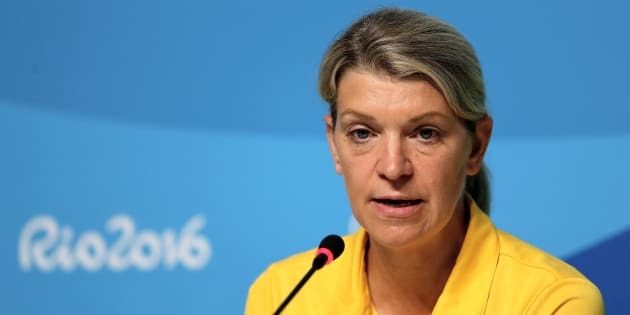 Australians were told the team could even aspire to winning 16 gold medals, as Chef de Mission, Kitty Chiller did in the lead up to Rio. The Rio result was a disappointing 10th placing for Australia, including eight gold medals. Chiller acknowledges the team under performed, but "getting into sledging match now ... is counter-productive." "When you under-perform in elite sport the blame game always follows. I'm not interested in the blame game," Chiller said in Rio. Chiller says aim.of top five finish on medal tally not a pipe dream, but several missed opportunities in Rio. "I'm extremely proud of our team, there have been many standout and breakthrough performances here. 29 medals including eight gold however is short of where we wanted to be, well short." The Treasurer has described the Turnbull Government's $340 million investment in elite sport as 'generous'. "I am very proud of our athletes and inspiration given to another generation of Australians," Morrison told The Huffington Post Australia. "As usual, there will be reviews under taken after every games and how better to do it next time." The Winning Edge idea was to refocus and reprioritise the taxpayer's sports dollar. The Australian Sports Commission (ASC) dispersed $254 million in government funding to sports with the "greatest medal potential in Rio and beyond," such as swimming, sailing, cycling and rowing. Scholarships were slashed at the high performance body, the Australian Institute of Sport (AIS) and responsibility was given back to individual sports. Elite athletes and teams could also receive support through state bodies and direct athlete support, but deprived of funding and support, smaller sports cried foul.